Century A/C Supply Why Buy York? Why Northern Texas Customers are Trusting York for Air Comfort Quality. York is all about getting results that are more efficient and more intelligent. York creates equipment that makes all environments optimized and connected, right here in the USA. York equipment is available from Century A/C in the Austin and Waco metro areas and across Northeastern Texas, including the San Marcos and San Antonio regions. All York products have earned the “Good Housekeeping Seal” which gives residential customers in Dallas and Ft. Worth - including Richardson and Mesquite neighborhoods, the added assurance of product replacement or refund of the purchase price if the product proves to be defective within two years from the date sold by an authorized dealer such as Century A/C. Customers in Austin and San Marcos area will find it easy to trust a warranty like York’s, which is available everywhere, even in smaller communities Century A/C serves such as La Feria, Texas. York systems are backed with some of the best limited warranties in the business. York continues to offer quality air comfort products Texans have grown to know and trust. York’s residential products undergo performance and reliability testing, ensuring energy savings and lasting performance for years to come. Today, York commercial products are heating and cooling some of the world’s most famous structures, including the Empire State Building, the English Chunnel, U.S. Capitol building and the Sydney Opera House. Brief History: A manufacturing company founded in 1874 in York, Pennsylvania, York started making ice machines to replace the shipping of ice from the Great Lakes. 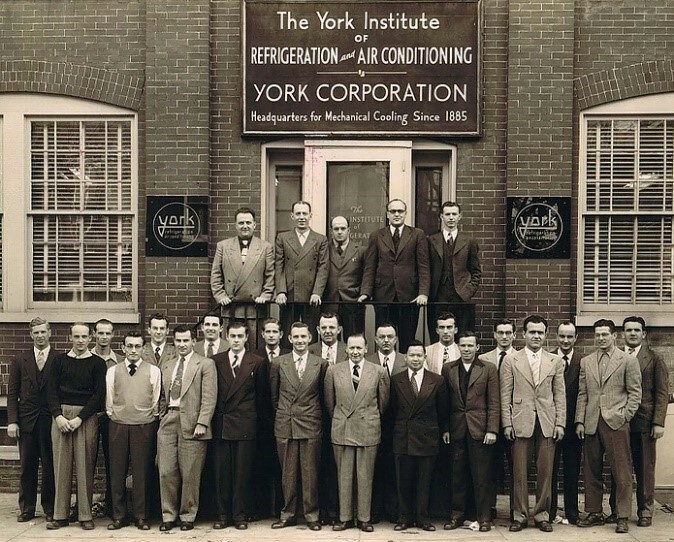 The York company soon extended their expertise in refrigeration to other areas, creating the first revolutionary “air washing” comfort system. In 1924, York equipment was used to create the world’s first air conditioned office building in Fresno, California. York was purchased by Johnson Controls in 2006, which has allowed York to invest in industry-leading research and development and deliver a wide range of products with the features requested most often.